Search for homes for sale in Virginia Crossings in Manasquan NJ. Here are the homes available, if any. Virginia Crossings is an Active Adult community consisting of 10 townhouses. This is an upscale community of townhouses with 2 or 3 bedrooms, 2.5 baths and a one car garage. This community is located one mile from the beach and is within walking distance of town. There are 12 townhouses in Manasquan Village Townhomes. New construction is complete. There may be resales available at times, however, you may wish to look in other towns unless you have time to wait. This community does not have a clubhouse because it’s too small. However, the Jersey Shore beaches are very near. Virginia Crossings has a great location because New Jersey Transit has a train station in town. Shopping and dining are nearby. And of course, the Jersey Shore! 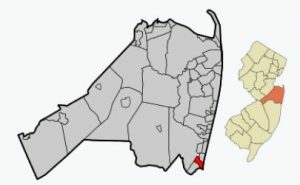 There are numerous golf courses available in Monmouth County.